At the first conference in 2014 there was much discussion about the issue of what educators should teach so that industry receives suitable applicants. Those in the industry had felt for some time that education had become a little out of touch with their needs. They said so at the conference, some of them rather loudly. It was obvious that everyone, education and industry alike, wanted something to be done. So - what to do? What could the ITTP do we started this.....? At this Januarys conference ITTP introduced the concept of an approved skills scheme, a straightforward testable list of those skills an employer, in this case of cameras, sound and lighting staff, might expect a new applicant straight from education to possess. Once we have a list that is agreed by all, it can be taught, and individuals can be tested against it. You can see the intro session on the website address at the end of the article. Its far from an original idea - these days plumbers, accountants, bricklayers, pharmacists and many others have to prove their own individual skill level to start in their chosen profession. It hasnt happened so far in British tv because most older members were trained very thoroughly at BBC Evesham. The BBC dont train to the same extent any more, so universities and colleges have taken on the role. The standards vary, and many of even the most excellent teach what they regard as a correct skills list with little or no input from industry. Hence the Approved Skills Scheme. In January there was no list, just some ideas, and my job as producer was to make it happen. As an ex-BBC senior producer, making it happen is my area. I promised first results by early summer, and by June a draft existed. We consulted those who knew about the actual skills - the practitioners - and they consulted colleagues in their organisations - the Guild of Television Cameramen, the Institute of Professional Sound, and the Society of Television Lighting Directors. The list as drafted turns to have much common ground between the various disciplines and these skills were placed in one group Basic Technical. The very first item is Ohms Law, something I was taught when I was twelve. It doesnt seem to be like that now, or perhaps pupils just arent listening. Theres another group, Basic non-technical which includes things like be on time, wear the right clothes which should be obvious but for some reason arent. After that, each discipline has its own section. In early summer, then, the list was in late draft, and it was time to start consulting both the educators and the industry. I started with several educational establishments that had been represented at the January conference. I have to say that I wasnt prepared for the enthusiastic reception. When can we use the logo? was the very first question I was asked. Ummm - actually I hadnt thought of that. 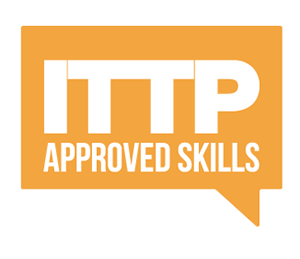 ITTP doesnt plan to approve education establishments or courses, just individuals, but there must be a way with the logo that suits all. Its very much in everyones interest. The process of consultation is now well into its swing, with this article as part of it. The summer holidays have slowed things down a touch, but not for much longer. One high profile employer is very approving, but understandably doesnt want his company logo to be the only one attached to the list. We are already talking to a good number of other companies, so that everyone can join in. We also need to continue consulting with education. I intend to talk to other universities and colleges in the next few weeks, but all are welcome to contact us to comment. I dont want to publish a final version until everyone has had a chance to say what they think, and I will send the current draft to those who ask. And when the list is sorted? What next? The first thing is to formally publish it, and then we need to start working on ways of assessment. This is beyond my personal skill range (but then so is lighting directing). Its currently very much under discussion, but personally I think we need to partner up with an organisation that does this sort of thing for a living new business for a lucky company.